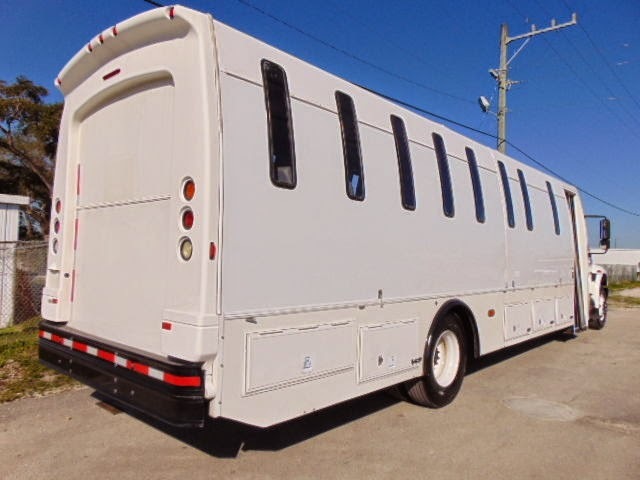 If you need a large passenger bus to fit your Duggar lifestyle (or if you are starting a band, church, cult, etc), you might be tempted to pickup something used from the private shuttle bus market, used school bus, or ex-public transport, but you'd be wrong. 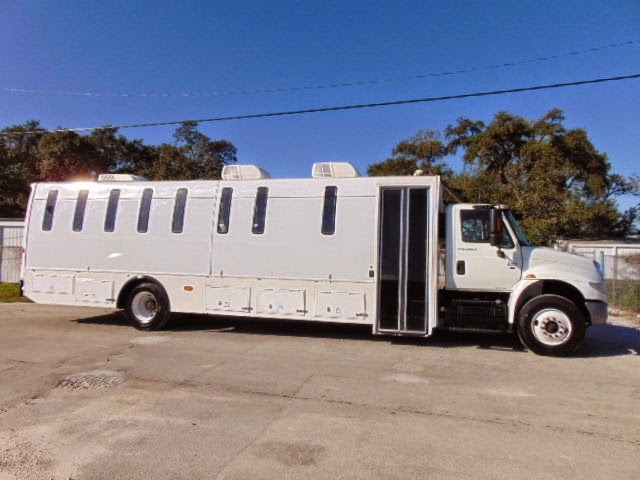 The thing you actually need is a used prison transporter like this 2007 International 4400 offered here on eBay for $18,900 buy-it-now located in Hollywood, FL with 18 days to go. If you aren't in the 50 percent of DT readers that have huge families or cults to transport, you might wonder why you'd want this. Street cred notwithstanding (put a Dept of Corrections sticker on the side and nobody is gonna mess with you...ever) this thing looks perfect to transform into an RV or apocalypse survival vehicle. Those skinny windows that don't let in much light and stop perps from going all Hannibal Lecter on random pedestrians will also help keep out the mindless undead when the zombie apocalypse is upon us. 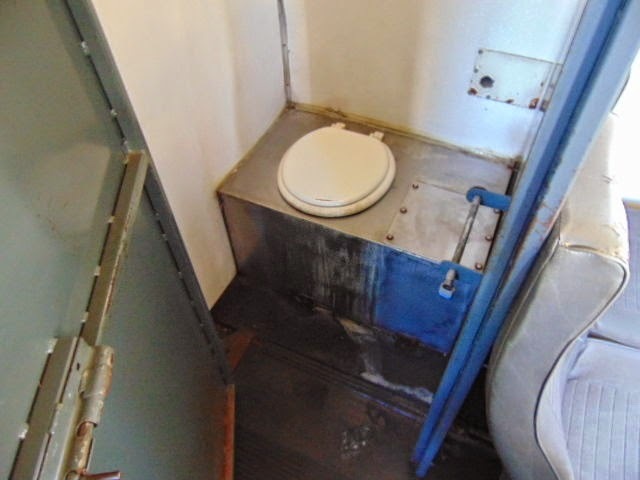 This bathroom features a heavy duty lock on the door, but it isn't clear if it is to keep people in or out...but it would make a great place to leave your best friend after he has been bitten and waiting for him to turn. Eventually you'll have to whack him, but the heavy duty door should keep him contained for a while. 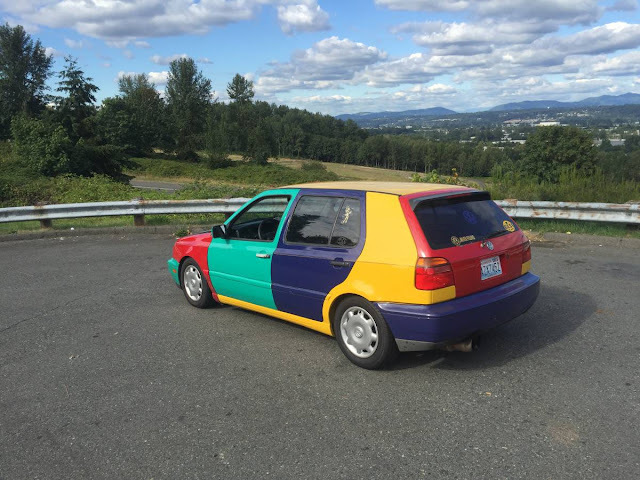 I could use something like this... I have a 98 international 4700 lo boy with a 20' roll back deck that is very tired but the deck is in good shape. Cut four feet out of its center and make a new mount for the deck, add a PTO and ta-da tow truck. If that rear door opens, I think it looks like a race transporter waiting to be born. There must be a big loophole in those ULEV testing standards. The Europeans have been going down that road for over 30 years, and they are just now realizing the health disaster they have created . Let's see here...looks like flying coach, right down to the lack of control of where and how you get in and out. Of course, I don't think we've yet seen any enterprising sheriffs offering time at their graybar hotels on Priceline.